So Kim Abad, MD completed her medical degree at Far Eastern University in Manila, Philippines and specializes in Family Medicine. Dr. Abad completed her residency requirements at Wichita Falls Family Practice Residency Program in Wichita Falls, Texas. 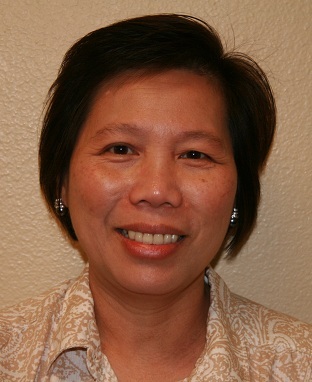 In addition, Dr. Abad is Board certified by The American Board of Family Medicine since 1997. Her memberships include Texas Medical Association, Texoma Independent Physicians, Wichita County Medical Society, and American Academy of Family Physicians. Lori Hanes, MD received her medical degree from University of Texas Health Science Center in Houston, Texas. Dr. Hanes completed her undergraduate degree at Texas Tech University in Lubbock, Texas. In addition, she completed her residency requirements at Mercy Medical Center and St. Anthony Hospital in Denver, Colorado. Dr. Hanes specializes in family medicine and is Board certified by The American Board of Family Medicine since 1994. Currently, Dr. Hanes is a member of Texas Medical Association, Texoma Independent Physicians, Wichita County Medical Society, and American Academy of Family Physicians. Diane Heinis, MD received her medical degree from Universidad Anahuac in Mexico City, Mexico. She completed her internship and residency requirements at Wichita Falls Family Practice Residence Program in Wichita Falls, Texas. Dr. Heinis is Board certified by The American Board of Family Medicine since 2003. In addition, Dr. Heinis is a member of the Texas Medical Association, Texoma Independent Physicians, Wichita County Medical Society, and the American Academy of Family Physicians. John T. Presson, MD graduated from Texas Tech University in Lubbock, Texas with his medical degree. Dr. Presson completed his undergraduate degree at University of Texas in Austin, Texas. In addition, he completed his residency requirements at Womach Army Medical Center in Fort Bragg, North Carolina. Dr. Presson specializes in Family Medicine and is Board certified by The American Board of Family Medicine since 1998. Dr. Presson is also a member of Texas Medical Association, Texoma Independent Physicians, Wichita County Medical Society, American Academy of Family Physicians, and Alpha Omega Alpha. Nicole Storseth, MD received her medical degree from University of Texas Health Science Center in Houston, Texas. She completed her residency at Christus St. Joseph Hospital in Houston, Texas. She received her undergraduate degree from Texas A&M University. Dr. Storseth has been board certified by the American Board of Family Medicine since 2003. In addition, she is a member of several associations, including The Texas Medical Association, Texoma Independent Physicians, Wichita County Medical Society and The American Academy of Family Physicians. David M. Whittiker, MD graduated from University of Texas Southwestern Medical in Dallas, Texas. Dr. Whittiker specializes in Family Medicine. He completed his internship and residency requirements at Wichita Falls Family Practice Residency Program in Wichita Falls, Texas. Dr. Whittiker is Board certified by The American Board of Family Medicine since 1987. In addition, Dr. Whittiker is currently a member of Texas Medical Association, Texoma Independent Physicians, Wichita County Medical Society, and American Academy of Family Physicians. David Cox, RN, MSN, FNP-C graduated from Midwestern State University with both his undergraduate and graduate nursing degrees. David is a board certified Family Nurse Practitioner, certified by the American Academy of Nurse Practitioners and has been with Family Practice Associates since 2007. Prior to joining Family Practice Associates, David practiced nursing at Wichita General Hospital in the Oncology Department from 1996 to 1998 and PACU from 1998 to 2000, and at United Regional Healthcare Systems in ICU/CCU from 2000 to 2007.